Enjoy the warmth and appeal of our hardwood flooring in Charlottetown, PE, in your home or office without spending a fortune in the process. We offer a broad array of stains and grains that are sure to match any design plan you had in mind. This variety of flooring is a great way to enhance the resale value of your home, and the enjoyment you experience in each room. If you have avoided including wood flooring in your design plan due to perceived cost, the time is right to change that perception for the better. Sit down with one of our design professionals, and learn more about the type of wood flooring that fits your lifestyle best. We are ready to answer any questions you might have about the right rooms for hardwood floors, and the type of flooring that is best for your way of life. If the room you are decorating experiences a number of spills and a variation in temperature, engineered hardwood is the best way to go. Getting the best fit possible is now more affordable than ever. We have integrated a team of installation specialists into our process, so you get the support you need from the moment you walk through our doors. Your satisfaction is important to us, and that is why we offer intensive support and competitive pricing on every product we sell. You deserve a hardwood surface that is easy to care for and one that looks great for years to come. We separate ourselves from the other stores doing business in this area by offering a combination of intensive support, and affordable hardwood flooring prices. Many mistakenly believe that wood flooring is too expensive for their particular home interior. When you take into account the increased resale value of your home, and the competitive pricing we offer on installation, this level of investment is a wise one indeed. Each room in your home or office is unique in some way, and that is why we offer a broad array of options from major manufacturers like Wickham, Kraus, Armstrong, and Beaulieu. We take the time to ask you the questions that make a difference in this process. If you are interested in seamless surface that is easy to clean and one that is capable of being resurfaced with ease, our options for solid hardwood are a great way to go. 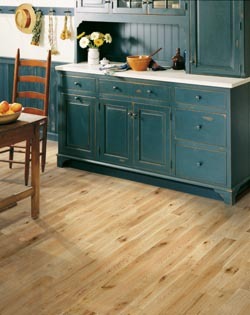 Hiring a qualified contractor for hardwood flooring installation is critical to the lifespan of your flooring investment. Wood flooring can expand and contract during periods of extreme temperature fluctuation and moisture. Without the right measurements, your flooring could expand and damage your baseboards and other elements of your home. Make the smart call and hire our team for the installation of your hardwood floor. Almost any type of design plan can be accentuated with the right choice of hardwood. We also carry bamboo and cork, which can reduce ambient noise and the impact you feel with each footstep you take. Replace all of the flooring in your home with hardwood and carpeting from our store. Contact us today to make your dream home a reality with our competitively-priced hardwood flooring. We proudly serve customers in Charlottetown, Summerside, Souris, Kellys Cross, and Brackley, Prince Edward Island.